Java South Africa`s inaugural Conference will be hosted in Cape Town South Africa. JavaSA aims to bring together the most knowledgeable developers and share their knowledge with Africa. 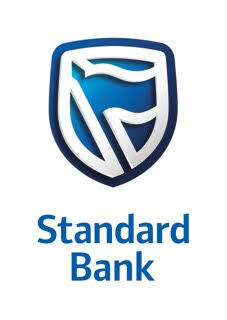 We look to share some insight, tools, exciting innovation and best practice. 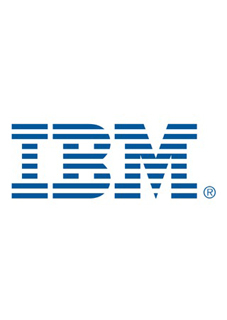 Indran is the CTO for IBM Cloud Ecosystem in MEA, a Certified Senior IT Architect and an IBM Master Inventor. He has extensive experience working with enterprises and startups having spent over 14 years working for IBM in Austin, Texas. 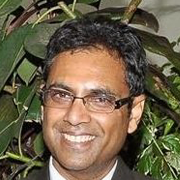 Indran has presented at several global conferences, is a graduate of WITS and holds over 2 dozen patents. A blogger (http://http://psy-lob-saw.blogspot.com/) and a coder with a pedantic passion for performance. Nitsan's work has spanned army intelligence systems, dot.com era startups, financial institutions and innovative product companies. The Lead Performance Eng. for Azul Systems by day, main contributor to kickass lock free data structures library JCTools by night. 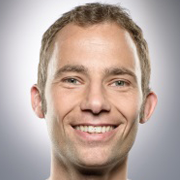 Herman is passionate about crafting great software and helping to build up awesome teams. Currently living out this his passion at HealthQ Technologies, helping them create a world-changing product. For 13 years Herman ran Polymorph as a company that for the first 10 years specialized in Java technology, including training, design, implementation and performance tuning of Java and Java-related systems. From time to time he presents courses for JavaSpecialists.EU, including the Java Masters course. These days Herman really enjoy playing with Scala and Akka.io, and is not missing the world of JavaEE at all. 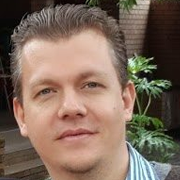 Richard has been the community manager at the Jozi-JUG for over three years with about 20 public talks under his belt at various venues. 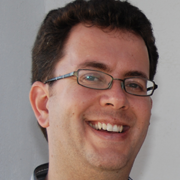 He has strong beliefs in free software and promoting Java in South Africa, especially in the junior to intermediate space. He is a active member of the JCP and contributes to Adopt OpenJDK , Adopt A JSR and other communities inside the Java space. Pavel got hooked on programming at a young and impressionable age. After some flirtations with physics along the way, he has been building (and breaking, and fixing) systems at the intersection of the web, mobile, finance, and the Internet. In his free time, Pavel enjoys training in Chinese martial arts, hiking, and photography. Matt is currently fulfilling the role of a Senior Software Engineer at Entelect where he designs and builds custom solutions for clients. He has extensive experience in Java, Android and a variety of web frameworks including Angular. 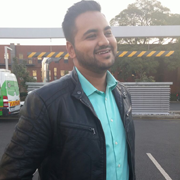 In his free time he enjoys dabbling in game development, but this year most of that time has been consumed by working on a pet project involving mobile and beacons as well as the Entelect R100K Challenge. Rishal is currently fulfilling the role of a Team Lead at Entelect. He is a senior software engineer designing and building solutions for various national and international blue chip clients. He has a passion for web architecture, mobile development, and user experience design. MSc research in artificial life. He also enjoys developing games and producing music. 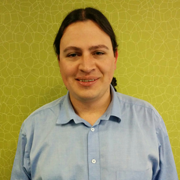 Rudolf Visagie has been called a developer, software engineer, software architect, production troubleshooting expert, web application security dude and performance tuning professional. But all he really wants to be is a code wrangler and solve interesting problems along the way. He has spent a big chunk of the last 7 years doing Java production troubleshooting at a big African telecoms company. 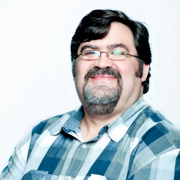 Lately he has become a DevOps believer and practitioner. He currently works for BBD. Corneil is a Software Architect at TSC Technologies with over 30 yr experience in all manner of software development technologies on hardware from PIC to Mainframes and everyting in between, and software from Assembler, C, C++, Java and more. 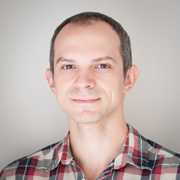 He has a special interest in developer productivity using a variety of patterns and tools to improve the feedback cycle. 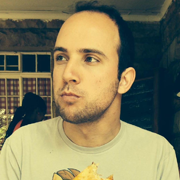 Dewald is a software developer and ThoughtWorker from Johannesburg. He is driven by a passion for all things software and is always looking at new ways to improve the delivery of successful projects. 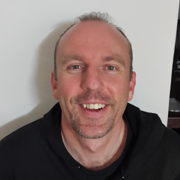 Dewald has been involved in many client engagements over the years where he has implemented Continuous Integration and Delivery, modernising old systems and bringing automation to new ones. He believes that software has no value if it cannot get to the consumer and that automation is crucial to succeeding at this goal. 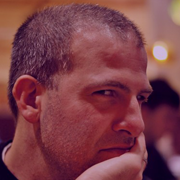 He has worked in a many technologies and domains over the years including .NET, Python, Java, Groovy and Ruby in Finance, Markets, Communications and Government projects. Most recently, Dewald has been engaged with large enterprise clients in delivering new innovative products. He brings lessons and techniques from across many domains and technologies together to look for a better way to deliver software for clients at scale. 80% of engineering time in the world is spent in bug fixing but not on innovation or optimizing the deliver process. It is technical debt that slows us down, repeated manual tasks that are error prone and declining motivation of engineers that lead to that problem. Facebook, Amazon, Twitter and others shared their stories on how they apply what is commonly known as Metrics Driven DevOps and Continuous Delivery to ensure that only good quality is exiting the delivery pipeline. Learn what your first steps have to be to automate quality control into your delivery pipeline by focusing on the most common technical and architectural reasons that cause technical debt to pile up. Big Data. Huge Scale. Massive Load. Monstrous unknowns. This is an exploration of the Java and JVM-based technologies we experimented with and ended up using to build a modern digital health and advanced data processing platform at HealthQ. We learned a lot of hard lessons in building the LIfeQ Cloud platform at HealthQ, and ended up with the design and technology choices that allowed us to deliver fast, and create a solid and scalable data processing platform. We discovered technologies, tricks and process that I would love to share to help others that need to make sense of all this data being generated by IoT and other data over-generation tech. This talk might motivate developers, managers and architects to think a bit outside the traditional JavaEE / Spring / IBM stack and embrace new ways of looking at server architecture. Polyglot persistence is the use of multiple technologies to manage data. With products like MongoDB, ElasticSearch, Redis becoming more commonplace and their use in combination with each other and RDBMS, it becomes a challenge to develop applications that interact with multiple data-stores. This talk will explore using Spring Data to provide a common persistence API. Moving from existing Web Containers to embedded containers such as embedded TomCat can be a tough sell to enterprise clients. It's good to have options, it’s better when those options improve flexibility, scalability and reliability. Are your Java Application Servers crashing or running dog-slow? You need to find a solution, and fast. There is a dizzying array of things that can wrong in a big corporate Java stack, but do not despair; this talk will equip you with a starter kit of tools and techniques, proven to assist you in your environment. Java 8 opened the door to functional programming but only introduced a very minimal set of library enhancements that take advantage of it. This talk will explore the deeper practical implications of adopting a functional paradigm within new and existing Java projects. We will also look at some novel ways of deploying functional code in order to minimise accidental complexity. It clears up misconceptions that developers may have about the REST architecture(Richardson Maturity Model) and guides them towards using industry best practices when designing and developing such services. It also demonstrates how a well-defined REST service can be consumed from applications running on different platforms. From a technical perspective, this talk will explore how a REST service can be built using Java and Spring, including building the foundations for authentication, authorization, configuration, data serialization, and testing. It will also cover the technical details for setting up a web client using Angular.js and a native mobile client using Android. The overall goal of this talk is for the attendees to walk away with a firm understanding of the REST architecture and a good idea of how to start implementing it in their own projects. 2:00pm Yesterdays secure application is today's security vulnerable application. Securing your public facing applications. If your application server, open source libraries and Java script libraries are more than 1 year old, it is probably has severe security vulnerabilities. Hackers can crash your Java virtual machine, steal your data, hijack your user's session and much more.Richard explains how to detect, resolve and prevent zero day attacks on your public facing applications without costing you a cent. This session will focus on using Open Cloud platforms based on Cloudfoundry such as Bluemix to rapidly build Java applications. Building enterprise grade Java applications on the cloud for the cloud create some unique challenges. This session will address some of those challenges as well highlight Java cloud resources and services that will help you innovate quickly, accelerate application development, test and deploy rapidly. This session will also cover other topics such as cloud development tools, API management, frameworks, microservice architecture, availability and reliability, data management and hybrid cloud development. This session will give you all you need to get started with Java on the cloud. Please feel free to contact us if you have any questions, comments, or just want to say hi. © Copyright 2015 Java Conference. All Rights Reserved.